​Baseball, otherwise known as ‘America’s pastime,’ is one of the most popular sports to get your kids involved in. It teaches many valuable lessons and encourages teamwork and problem-solving. If you are a kid looking to get in the game or a parent looking for more information about the sport, we have put together some baseball facts for kids that should help you find out everything you need to know before committing. Games will go as long as they need to, with the longest game ever being called off after over 8 hours of play! 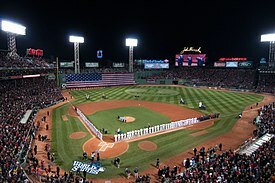 There is 90 feet between bases, and the distance between the pitcher’s mound and home plate is 60 feet. Innings are split in half, with each team splitting offensive and defensive duties by half. The home team gets the bottom half of the inning and will be the final at-bat of the game if they are losing. Teams end the inning by getting three outs. Outs can be achieved many different ways. The pitcher and batter start every play. The pitcher will deliver the ball, hoping to strike the batter out. However, if the batter hits it, the defense comes into play to get the out. Bunt – There are plenty of different ways to utilize the bunt. At its core, the bunt is where you hold your bat out in an attempt to guide where the ball will go. Suicide Bunt – Bunt the ball in an attempt to move a runner from first to second. This usually involves the batter getting out or sacrificing himself. Hit and Run – This play relies on your batter making contact. As the pitcher goes into his motion, the runners take off and relies on the batter to keep the ball in play so they can be safe. Squeeze – The type of bunt you use to get a runner home. The runner must be wary of the angle of the ball. If it is down one of the baselines, he’s going home. If it is up in the air or right back at the pitcher, he stays at third. Steal – The basic principle of base running. If you’re smart and have a little speed, you can steal most bases. Wait until the pitcher gets into his motion and take off. Reading Angles – This is more or less a skill than a play. Keep an eye on the pitcher’s delivery and see if there is a past ball opportunity. If you read it right, take off! On the defensive side of the ball, every player must know how to play his position correctly. The question every player should be able to answer before the pitch is thrown is: What am I going to do with the ball if it comes to me? Outfielders – Generally a left, right and center, however sometimes coaches will decide to put a fourth out there which splits the center fielder up into left-center and right-center. They deal with fly balls to the outfield or shallow choppers. First and Second Baseman – These two hold the space between first and second base as a team. They must have good communication and chemistry too, as most double plays will run through the both of them. Third Baseman and Shortstop – On the other side, these two handle the space between third and second base. With less plays happening at third base, these two must have good athleticism and game sense to know where they need to go with the ball after they [hopefully] prevent it from getting through. Pitcher – Every defensive play begins here. Pitches the ball to the catcher, hoping to put it in the strike zone but in a way that the batter misses his swing. Catcher – Catch the pitches coming in from the pitcher. Make sure to have a good understanding of where to place your fielders, where to go with bunts, a good arm for steals and athleticism to block balls in the dirt. All facts courtesy of Fact Retriever. The most stolen base is second. With 7 titles the New York Yankees have the most World Series titles. Every American President except Jimmy Carter have been throwing out the first pitch on Opening Day since William Howard Taft in 1910. ‘Swing weight’ differs in bats according to distribution of mass despite each bat weighing the same. 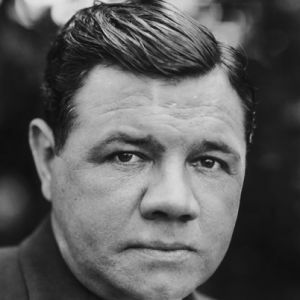 Babe Ruth is considered one of the best baseball players to have ever lived. During a swing, a baseball bat may travels between 70-90 mph at its peak. The first five men elected to “Cooperstown,” as it is also known, were Ty Cobb, Babe Ruth, Honus Wagner, Christy Mathewson, and Walter Johnson. There you have it! All the baseball facts for kids you could want, all wrapped up into one simple place! Note that these facts are just the basics and there is more in depth information coming. If you want to know more, check out some of our other blogs! This entry was posted in Tips and tagged baseball facts for kids, decker sports, defensive, offensive. Thank you for the time to write a response however could I make a request to be more specific on what you are trying to communicate please? I am so glad we are a resource for you. Thank you for your input. We will certainly take this into consideration. Thank you also for visiting our website. Thank you for the compliment. We sincerely appreciate it and are pleased you find it helpful. Hello,I log on to your blog named “The Greatest & Most Useful Baseball Facts For Kids | Decker Sports” like every week.Your writing style is witty, keep up the good work! And you can look our website about proxy. I am so pleased you are finding value in it. Thank you for the compliment.